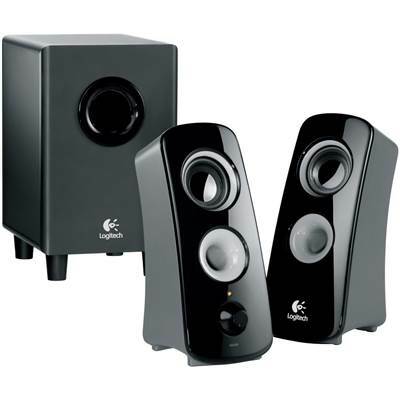 Logitech Z323 30 Watts (RMS) 2.1 Speaker System, Configuration: 2.1, Total Power: 30 Watts (RMS), Frequency Response: 55 Hz – 20 kHz. Fill every corner of your bedroom, living room or dorm room with high quality sound using the Logitech Z323 2.1 speaker system. This compact setup is an economical way to add more punch to your video games or MP3s, without needing a lot of real estate for installation. The two wired satellites feature a curved, contemporary design that will look great with any computer or personal entertainment center. The subwoofer offers an elegant slim design that will fit most configurations and adds enough boom to bring your music, games and videos to life. You’ll feel every explosion and never miss a beat again. 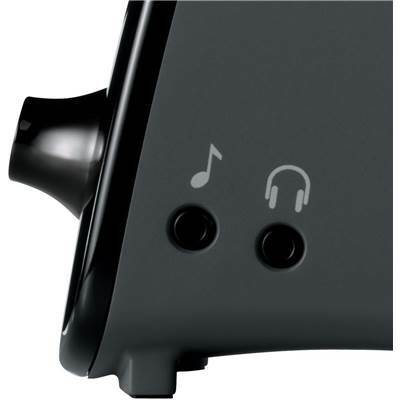 For your convenience, the Z323 features a large volume control dial, a headphone jack and two auxiliary inputs for connecting your music player, gaming console or iPod. 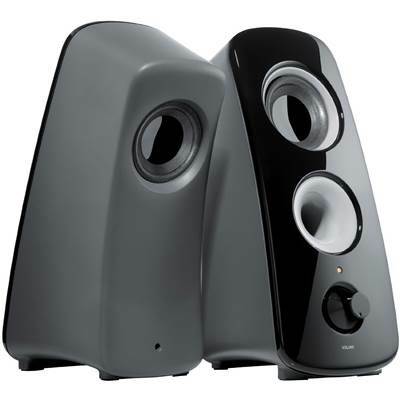 Add rich, full sound to your audio lifestyle with this elegant 2.1 speaker system. The Logitech Z323 projects sound evenly in all directions, so you enjoy rich, clear sound in every corner of the room and everywhere in between. The Logitech Z323 handles a total of 30 Watts RMS power to deliver room-filling stereo sound for an immersive listening experience. 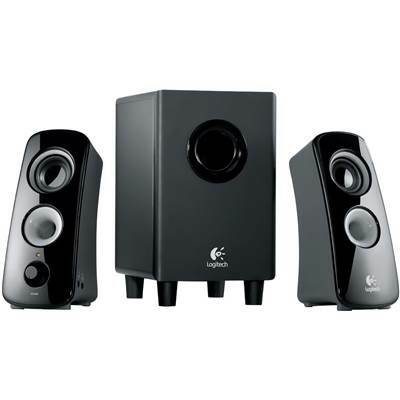 The Logitech Z323 boasts a 10.2 cm ported, down-firing subwoofer to deliver deep, accurate and tight bass, making your movies and music more realistic. Enjoy your music in perfect privacy through a headphone jack or connect your game console, iPod, CD, DVD, or MP3 player for more listening options through the two auxiliary input jacks. 360-degree sound: Also known as omnidirectional acoustics, 360-degree sound helps project sound evenly in all directions, giving you a great listening experience throughout the room. 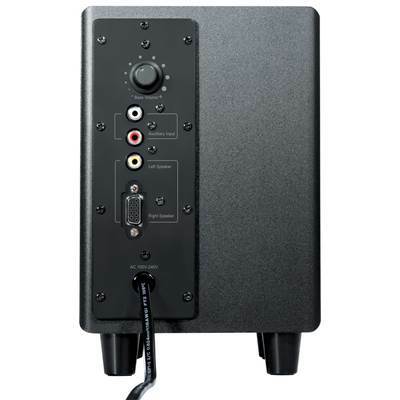 Ported, down-firing subwoofer: Delivers rich bass that brings music, movies, and games to life. 30 watts (RMS) of power: Fills the room with big, bold sound. 1 dual RCA jack and a 3.5 mm jack: Let you easily connect a Logitech Squeezebox network music player, DVD player, gaming console, or iPod. Integrated headphone jack: Lets you listen in private whenever you want.